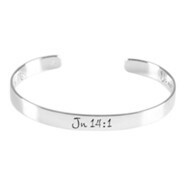 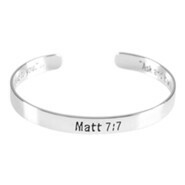 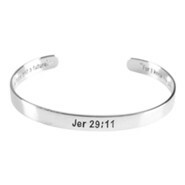 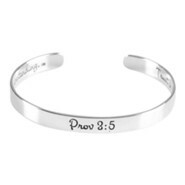 Inspirational silver plated cuff bracelet features engraved Scripture reference on the outside with the verse engraved on the inside. 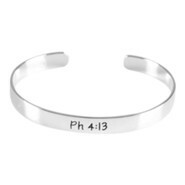 2.5" x 2"; can be adjusted slightly for a tighter or looser fit. 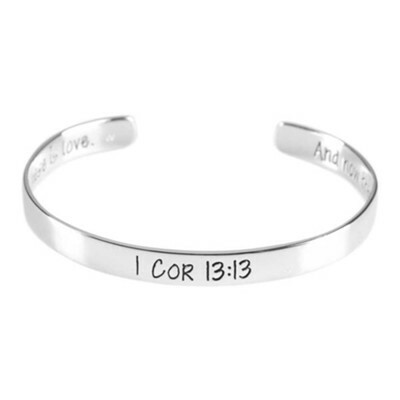 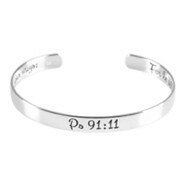 I'm the author/artist and I want to review 1 Corinthians 13:13 Cuff Bracelet.